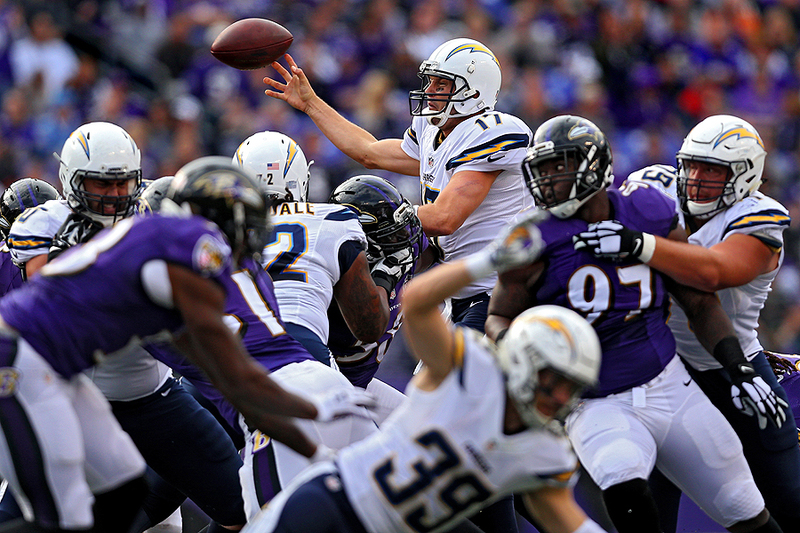 "Quarterback Philip Rivers #17 of the San Diego Chargers makes a pass against the Baltimore Ravens during the first half at M&T Bank Stadium on November 1, 2015 in Baltimore, Maryland." There is something about a quarterback passing that always seems one-dimensional in photographs. Most images one will see of a quarterback during a football game is of them passing with little pressure. The opposite frame would be an image of them being sacked by multiple defenders. Yet both of those scenes tend to be flat. The layers that surround a quarterback is chaotic - and it's always remarkable when they easily find an open receiver without being touched.